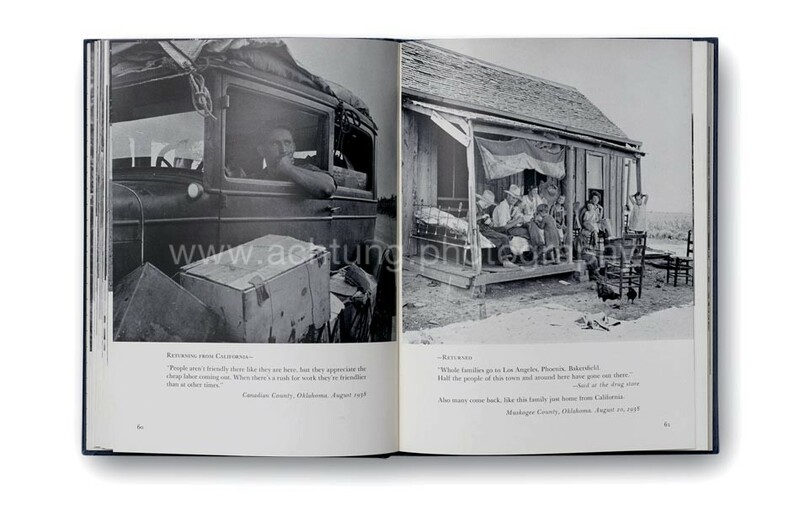 Dorothea Lange photographically documented the condition of farmers and country dwellers during the 1930s, the years of the Great Depression in America. 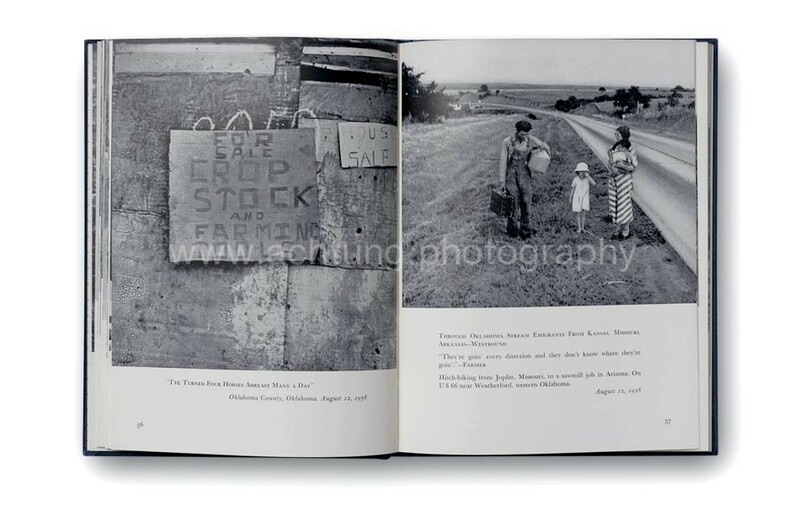 She was hired as one of more than twenty photographers by the Farm Security Administration FSA, whose aim was to raise awareness of the people living in such poor conditions. 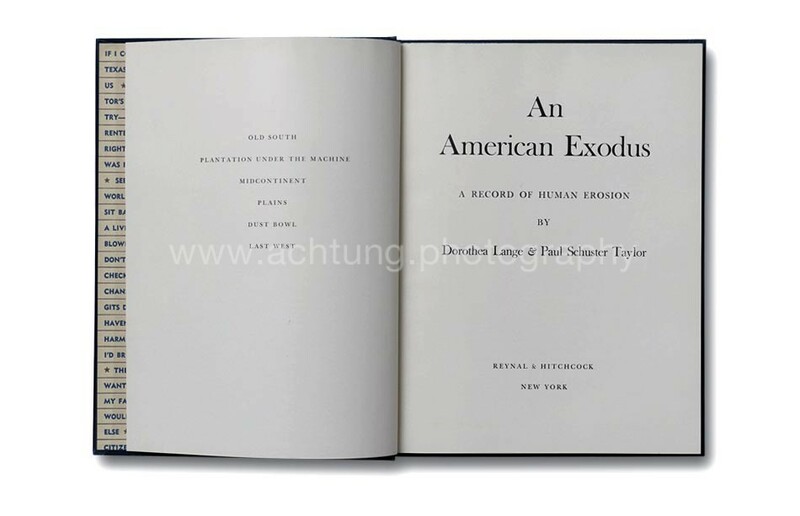 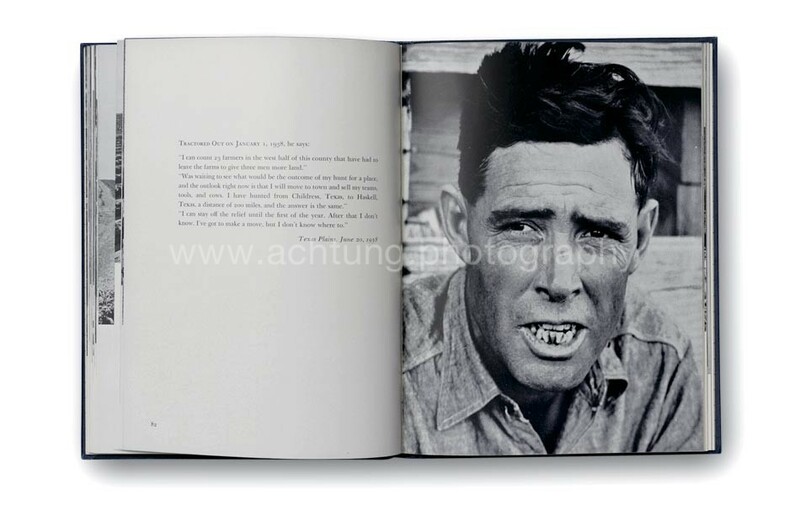 A selection of those photographs were chosen for this – Lange’s first – book. 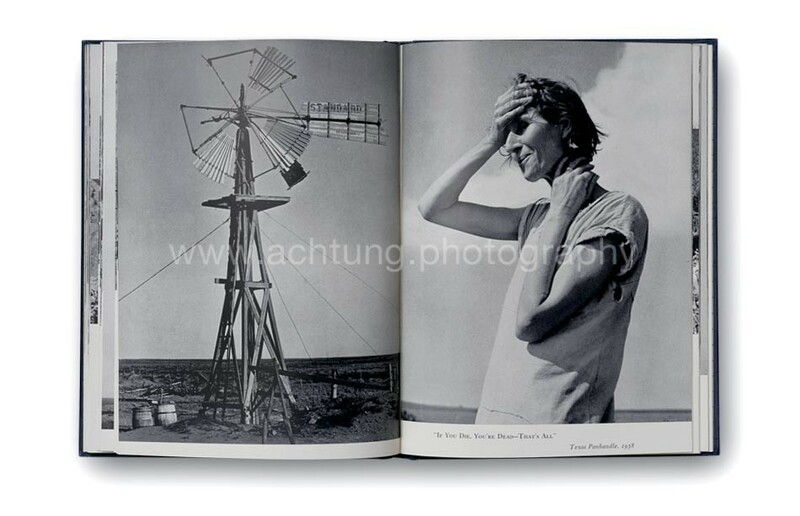 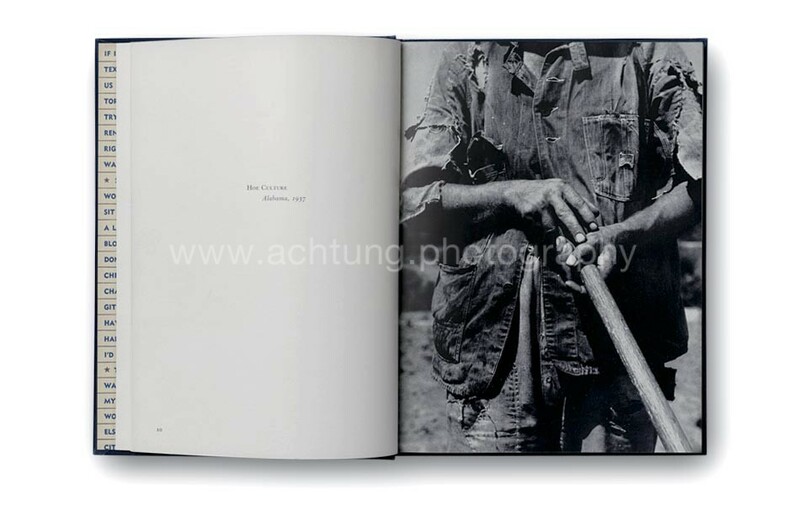 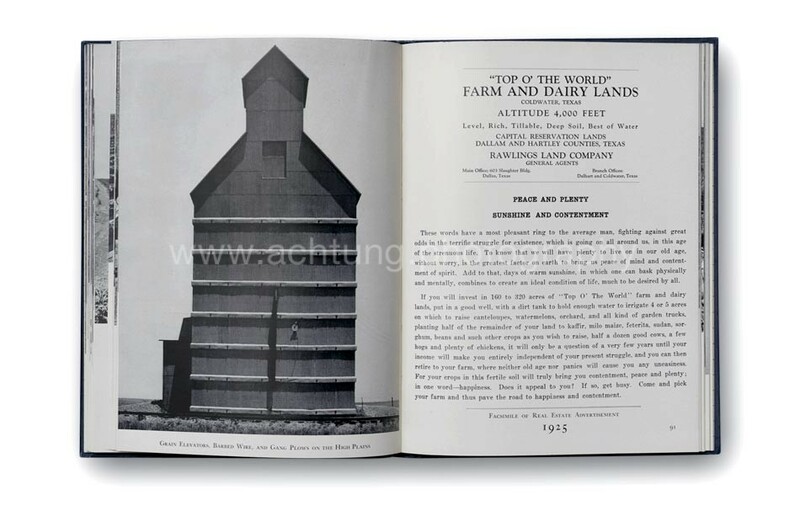 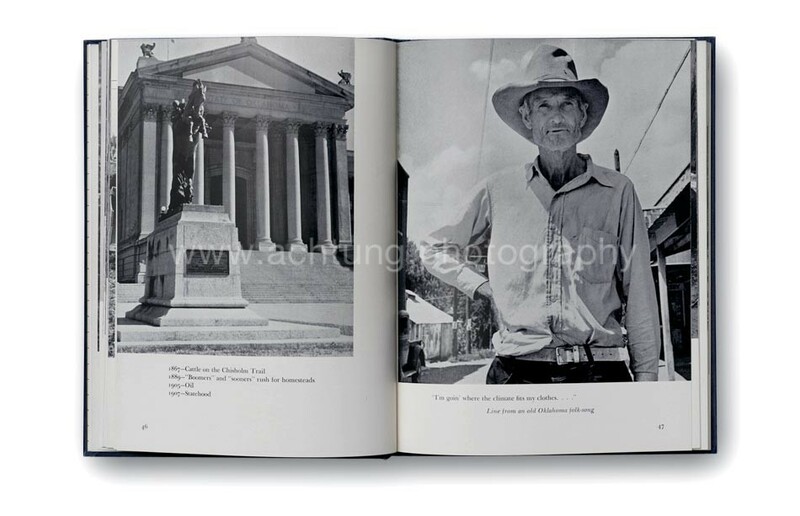 The photographs (for the most part by Lange) are accompanied by texts by Paul S. Taylor, (Lange’s Husband) and quotes from the actual farmers. 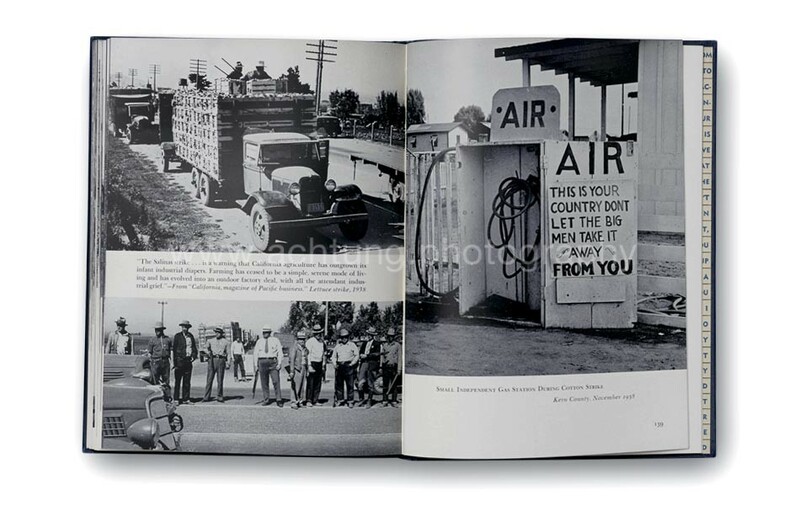 Additional quotations by several other writers were also used. 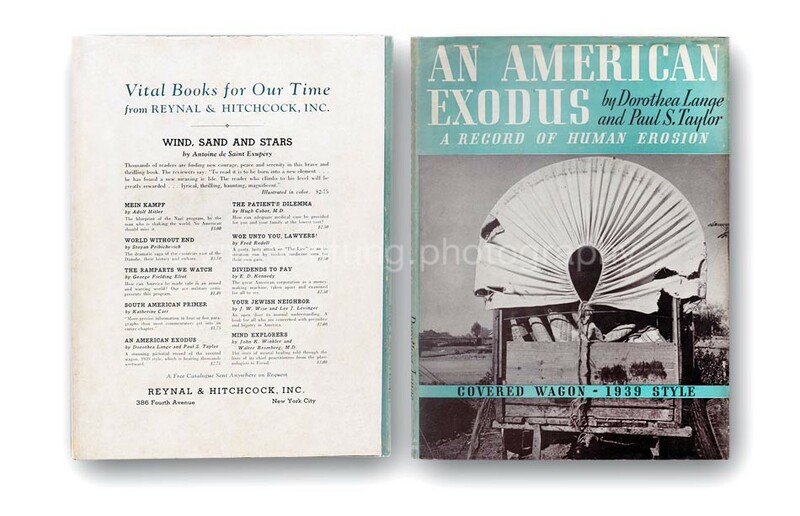 There were two versions of the dust jacket made. 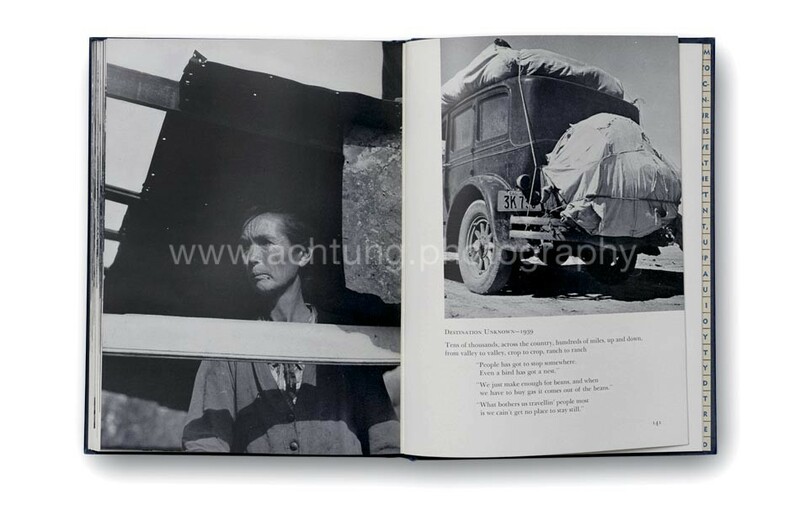 One shows advertisements for eleven other books by the same publisher, including Hitler’s Mein Kampf. 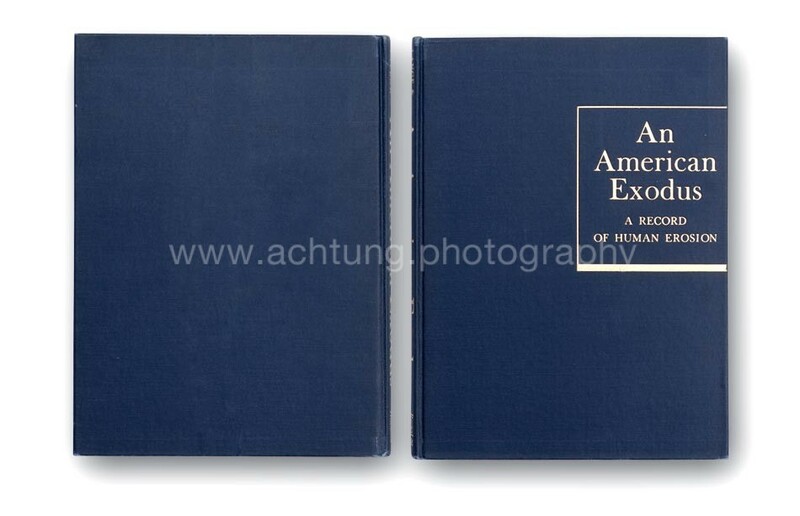 The second version has a text by Voltaire. 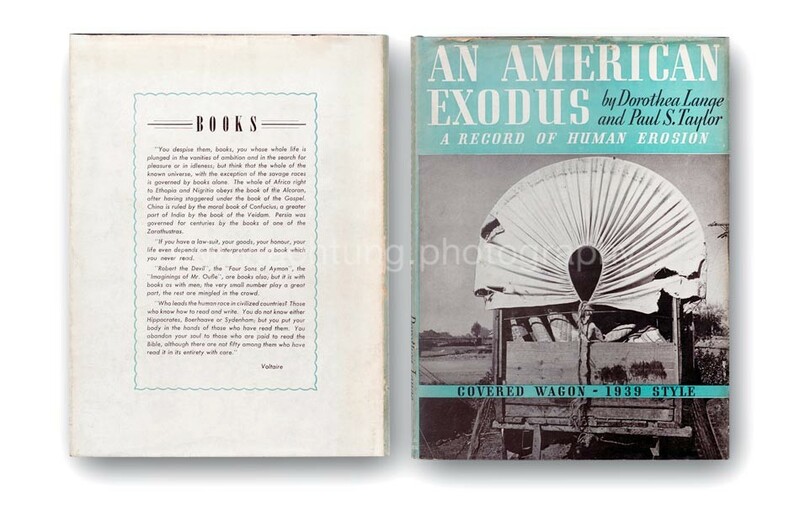 The graphic design and layout may appear a little clumsy, but nevertheless this book is of immense historical value, and has become one of the classics in American photobook history.